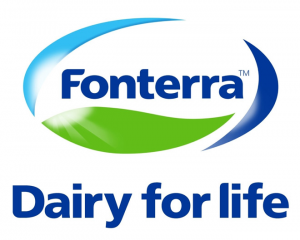 Global dairy giant Fonterra has launched a new Anchor milk in Australia that will last for up to 40 per cent longer in the fridge. The new Anchor milk – which contains no additives or preservative – uses a process called microfiltration, which reduces the naturally occurring bacteria in pasteurised milk to create a fresh tasting finished product that has an extended shelf life of 21 days. “Anchor is clean on the palette and has distinctly no after-taste – even after a week or two in the fridge. It really is beautiful milk and we think it offers consumers the best of both worlds through its superior taste profile, combined with the convenience of an extended shelf life,” said Kiril Simonovski, Director of Marketing at Fonterra. CSIRO Food Manufacturing Leader, Darren Gardiner, said microfiltration had already been adopted in other parts of the world. “While we’re all familiar with the concept of filtration when it comes to water and coffee, the additional step of filtering out the unwanted bacteria in milk before pasteurisation is a major development in fresh milk,” Mr Gardiner said. Anchor Milk is sourced exclusively from a small number of farms in Western Victoria, which deliver high quality milk all year round. According to Fonterra, five cents from the sale of each bottle of Anchor milk and cream sold will be invested back into sustainable dairy farming through the Anchor Dairy Fund.